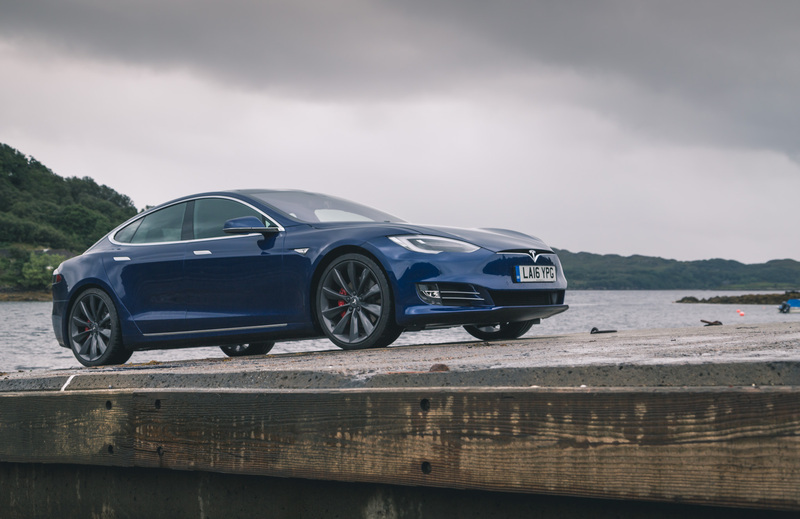 2016 brought a facelift to the Tesla Model S. Take a read to find out exactly what we thought about this super advanced car. 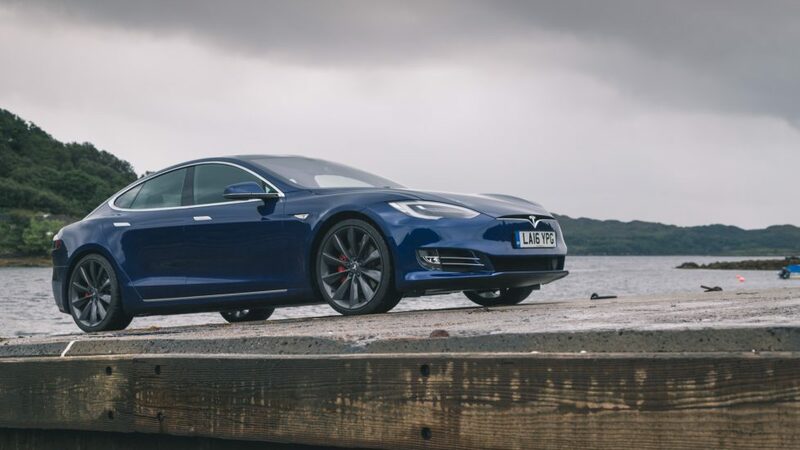 What is the Tesla Model S P90D all About? 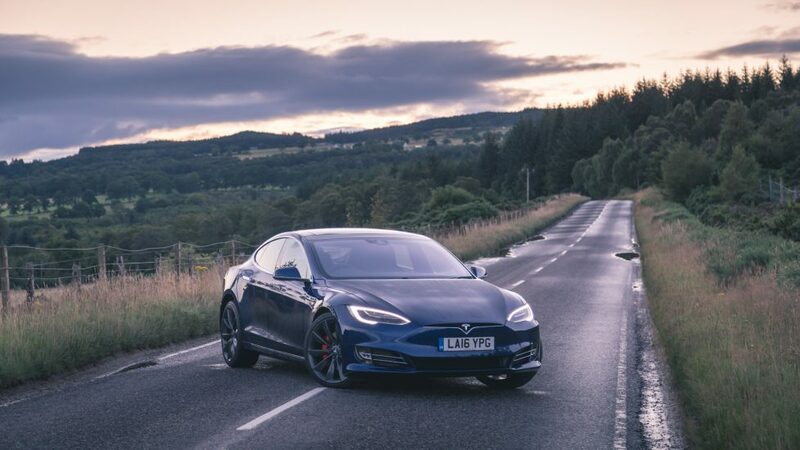 Motor Verso were given the key, well more of a very cool Tesla shaped fob, to the top of the range Model S, the P90D and boy were we excited to test it out. The naming convention is made up from the P meaning performance, 90 meaning the battery capacity and D meaning dual motor. 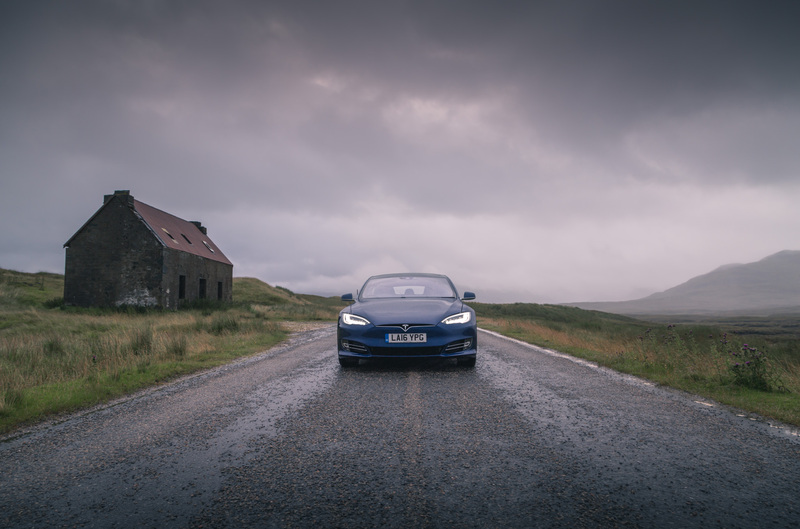 The car we had on test was fully spec’d up with lots of options including a panoramic sunroof, 21-inch grey alloy wheels, premium audio system, Tesla’s autopilot system, carbon fibre spoiler plus so much more. 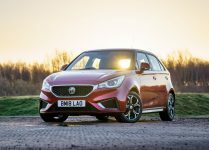 However, the most anticipated extra on the car was the £8,700 option called Ludicrous mode. For those of you who know nothing about Ludicrous mode this makes what was already a fast car considerably faster. 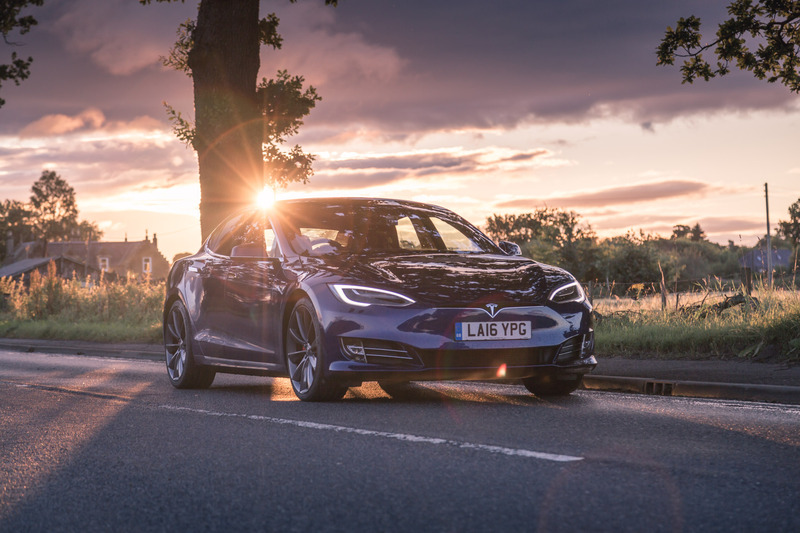 The Model S P90D’s Ludicrous mode is capable of improving the 0-60 mph speed from 3.2 to 2.8 seconds. 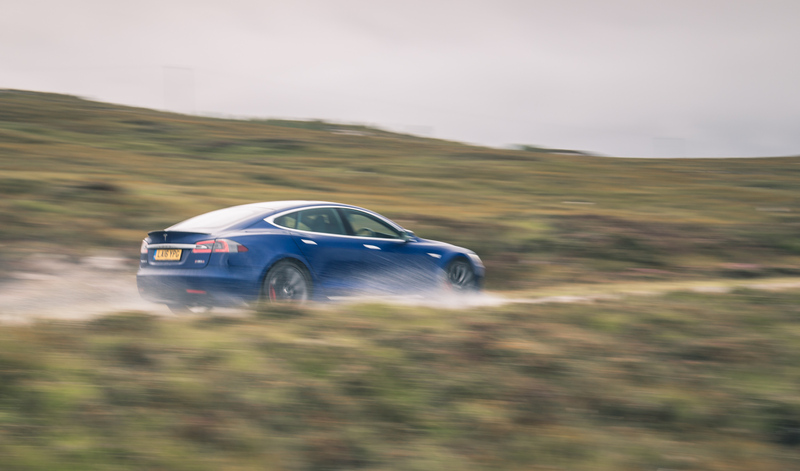 Although this is an expensive option, it does make this Model S into one very fast car indeed. 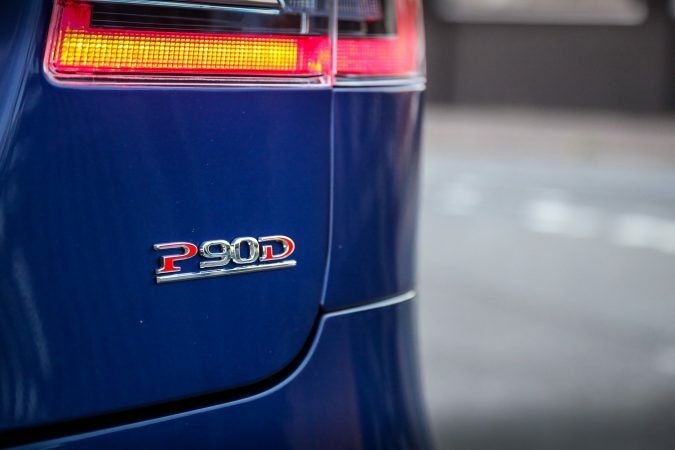 As a side note, you can spot a Ludicrous-enabled car on the road because it the P90D badge on the back will be underlined, very subtle. The looks of the car are now more appealing than ever. The 2016 facelift that we can see here gives the car a more premium look, but you have to know what you’re talking about to notice. 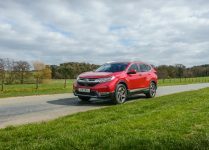 Looking at the front of the car there is now a conventional grille that was never there before and the front bumper has had a complete redesign; the lower sections of the car all around are now body coloured paintwork rather than plastic bumpers. 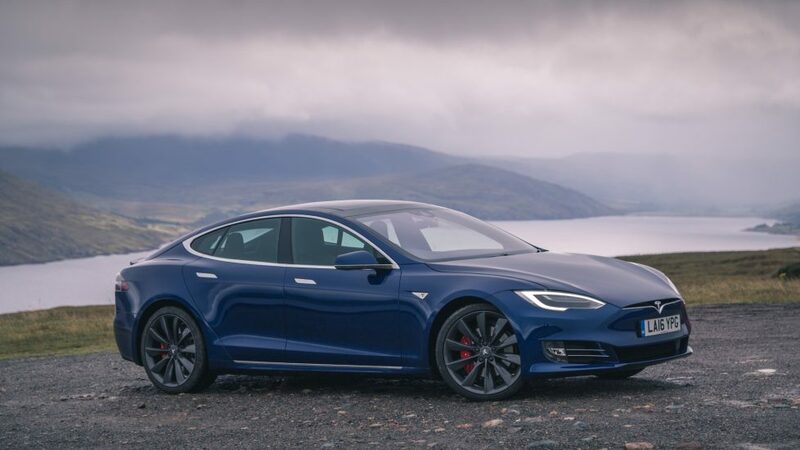 The improvements aren’t massively noticeable, until you park it next to the previous generation Tesla and all of a sudden it starts to look miles better. 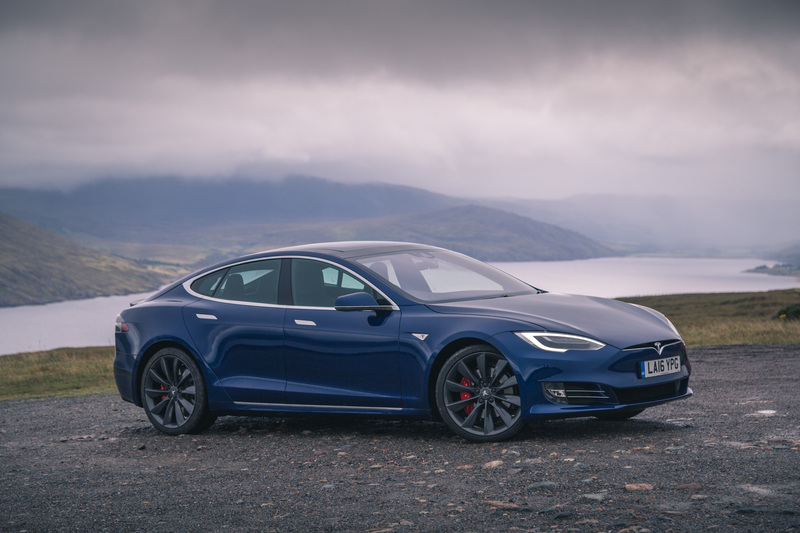 Performance-wise the Tesla is made up of a pure electric drivetrain, this car doesn’t use a drop of fuel it’s all batteries and motors. 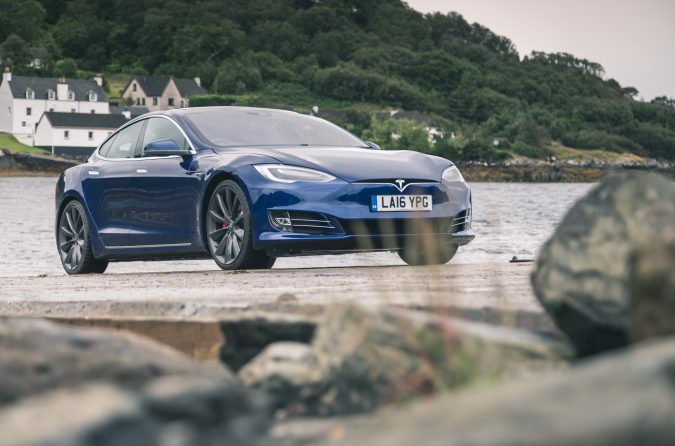 There is a powerful motor at the rear and a less powerful motor at the front of the car and with Ludicrous mode enabled and both motors working together the car is capable of creating 762 bhp. 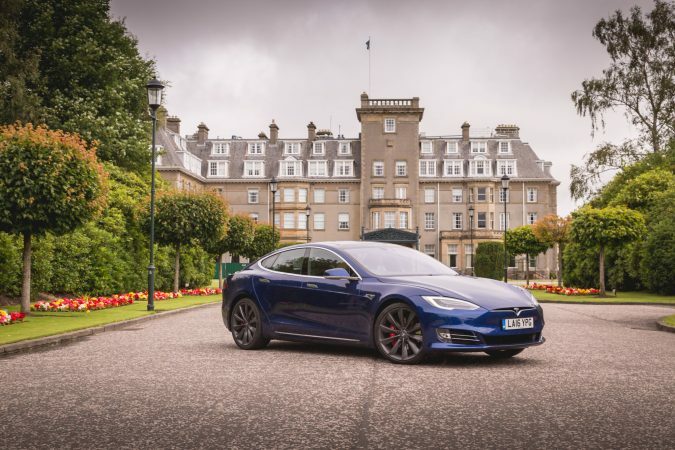 The Telsa’s figures quite simply squash supercars’, just incredible! As mentioned the car can get from 0 to 60 mph in 2.8 seconds and will do a top speed of 155 miles an hour. But the really incredible thing is that the car doesn’t create any CO2 and can realistically travel more than 250 miles on a single charge. So let’s talk about performance. 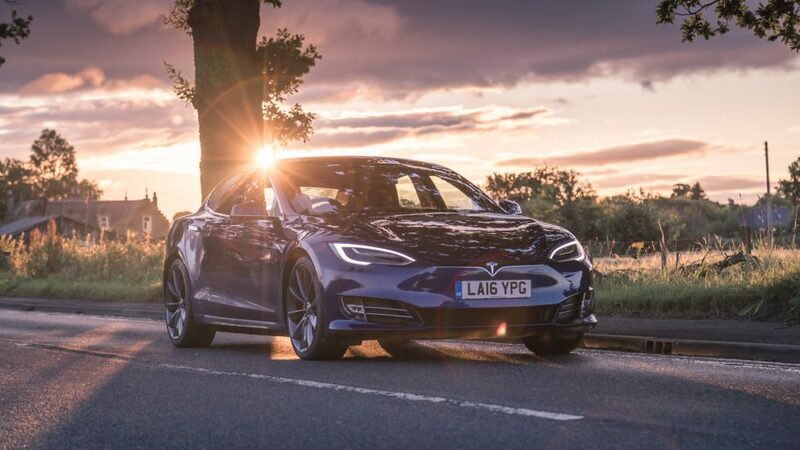 When it comes to putting the power down, the benefits of pure electric are insane. The car creates 100% torque at 0 rpm, beat that combustion engine! What this means to the driver is as soon as you hit the accelerator pedal the car launches forward like you have been kicked in the back. And there is no better way to describe it than that. The power is translated to the road in such an efficient manner via the Michelin Super Sport 3 tyres. 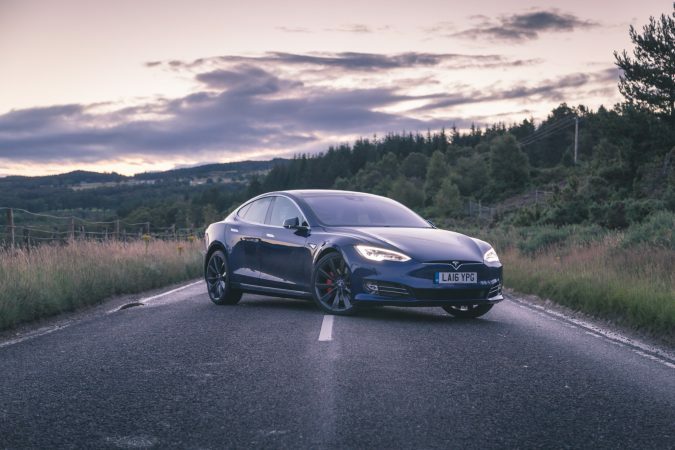 There is absolutely no drama at all, the electric motors, with the guidance of an electrically emulated LSD, can actively control how the power is distributed to each wheel meaning that you get the absolute most out of every bit of grip on the road. 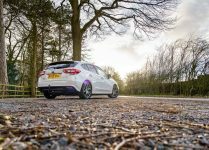 As a driver you are thrown back into your seat and launched forward with a relentless force, and there is no let-up from this acceleration of the car as it doesn’t need to change gear, it just keeps going! There is no other car like this, the only way you can describe this experience is being on a theme park ride designed for extreme acceleration. 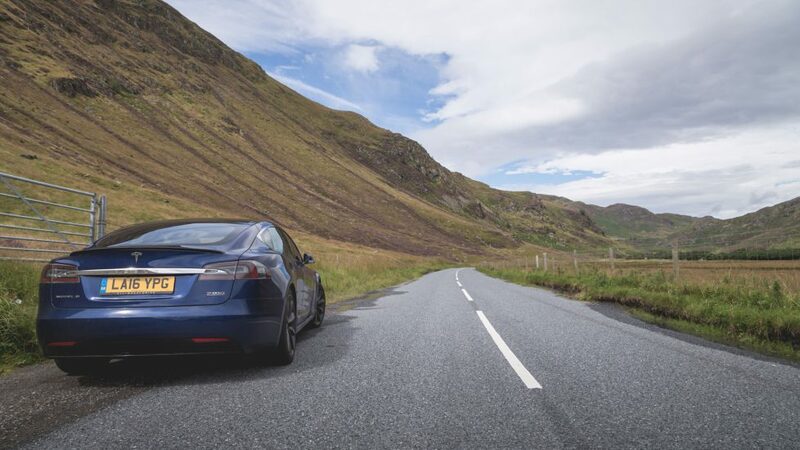 The benefits from being an electric car continue…when you look at how the car works on the road there are some extreme benefits; because of the fact that the car has no gears so there’s never any unneeded interruption to the balance of the car. A great example of this is if you wanted to change gear mid corner the lack of propulsion to the wheels would miss balance the car thus affecting its grip levels. But there is simply no need to change gear. Other improvements come at a refinement level. The absence of a mechanical engine means that no vibrations come through to the cabin from the engine. Making it a super quiet, super still environment to travel in. When you talk to people about electric cars you often get a response of “you won’t get too far in that will you”, or words to that effect. But that is far from the truth with the Tesla Model S P90D. 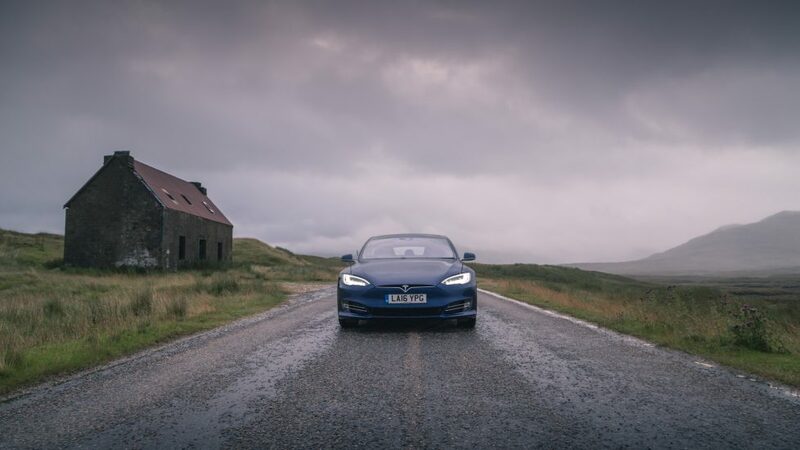 The car is rated as having a 340 mile range by Tesla, during my testing you could easily get a solid 250 miles range from a single charge. Next comes the charging piece, but in 2016 this is not really an issue anymore. 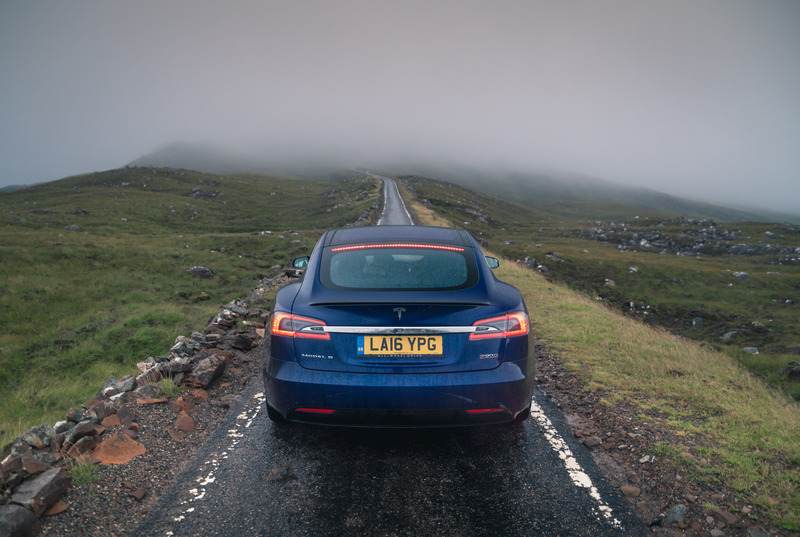 To prove the capabilities of the P90D we took a 1,200 mile trip from Birmingham to the Scottish Highlands and back in just three days, which I recommend you read about. 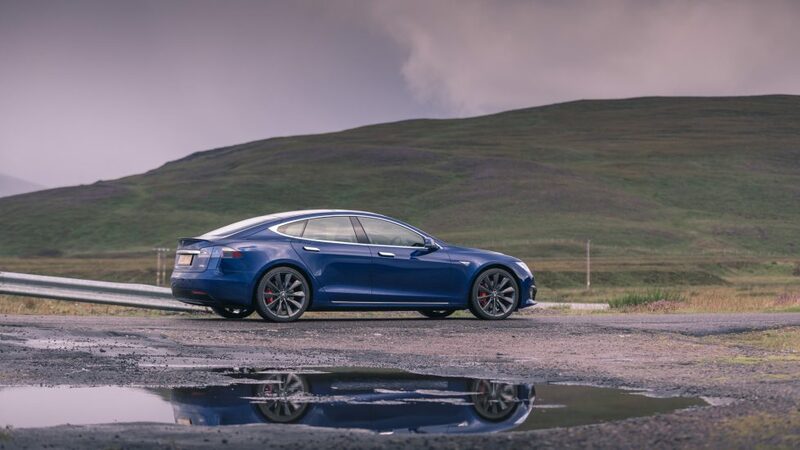 When you purchase a Model S automatically included is access to the Tesla supercharger infrastructure, which are high power machines that are able to fully charge the car in around one hour and will get over 50% in around 20 minutes. 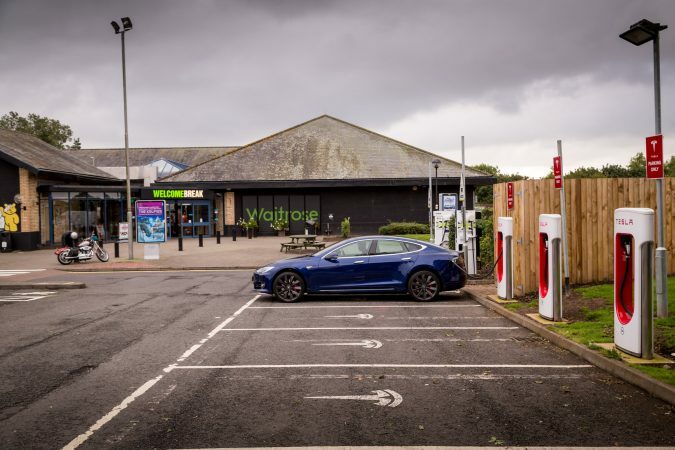 Secondly, there are a range of public chargers, some are free and some cost, but using some of the higher power chargers at around 50 kW you will be able to fully charge the car in around two hours. And if you want to charge the car at home Tesla can supply a home charging kit which will fully charge the car overnight. So to be honest there is no excuse for not travelling long distances with the Model S. We have proved that during our testing. 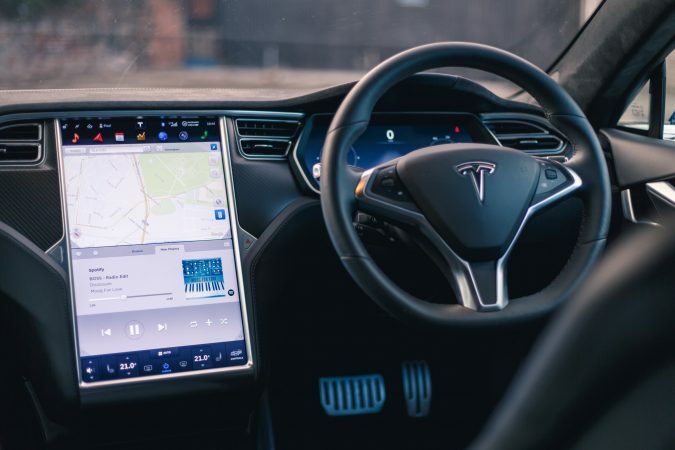 Now let’s get real cutting edge, let’s talk about Tesla’s autopilot system and clear up any myths with this technology. 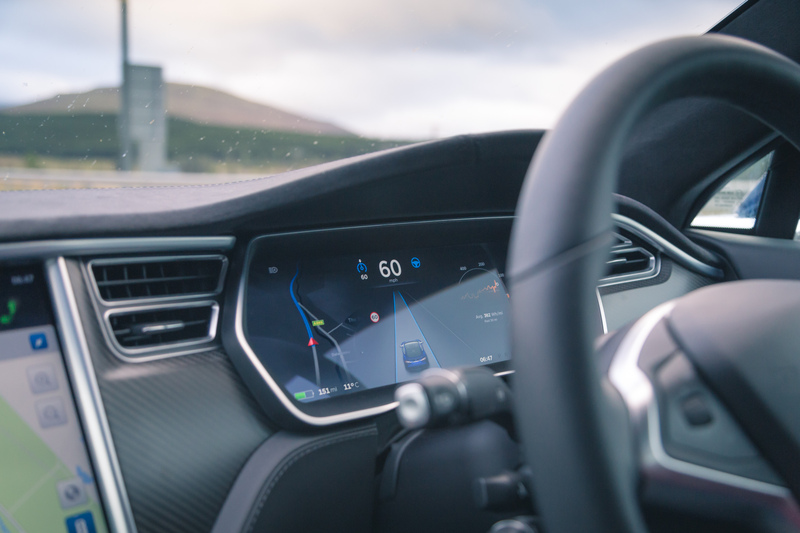 Tesla’s autopilot system is a hands-on assistive technology used to help the car maintain lane position when on a motorway. 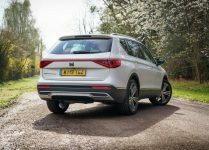 It uses a combination of the car’s adaptive cruise control with the front facing visual camera to pick up the white lines and auto steer the car to maintain perfect lane positioning whilst being traffic aware. Take a moment to re-read and digest that, but wait, it gets better. The car is even able to change lane, but requires the driver to check that it is safe as the car cannot see too far behind it to see oncoming cars. When you indicate, the car will automatically move from one lane to another and continue to hold its new lane position. Testing this technology was such an incredible experience. This technology is still in its infancy rather than being a highly mature system such as the adaptive cruise control. 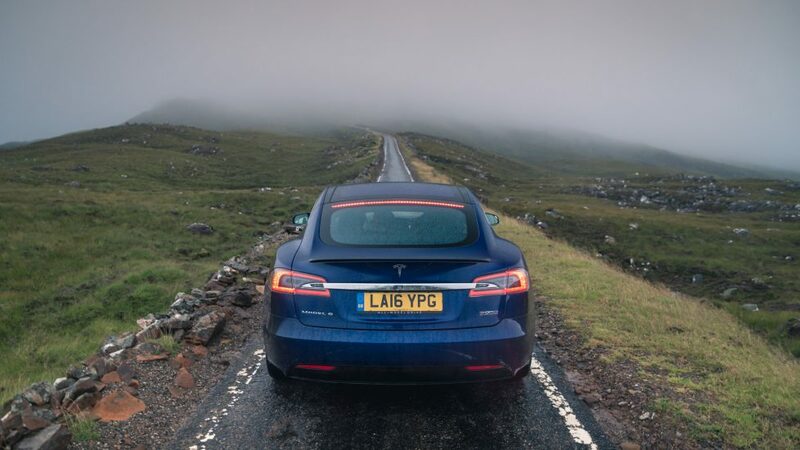 But the Model S is certainly very capable of perfectly holding a well marked lane on the motorway for a solid period of time. 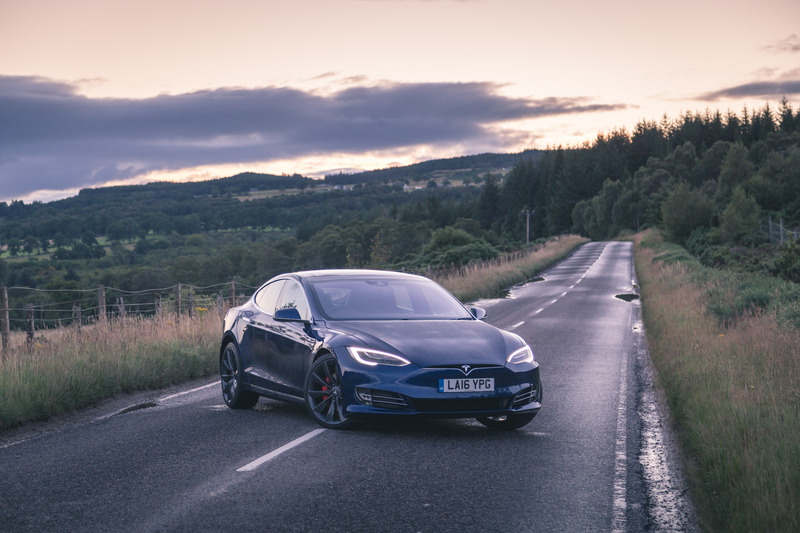 It takes a significant amount of testing to really understand the differences these technologies make to the driver, but the benefits they have to the driver over long distances are really quite remarkable. You still need to keep your hands on the wheel and be fully aware of what is going on around you, but it allows your arm muscles to relax as you aren’t constantly battling with the wheel to maintain lane position. 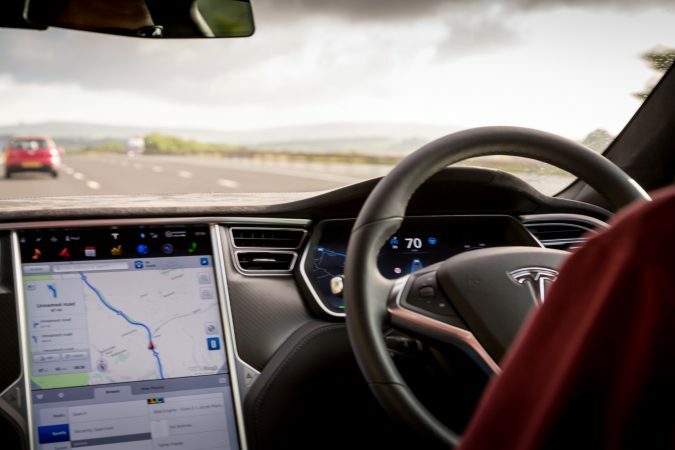 Another great benefit of the autopilot system is that while in slow-moving traffic, the car will simply follow the lane it is in and the pace of the car in front of it, making traffic jams a breeze which was something I never pictured myself saying. 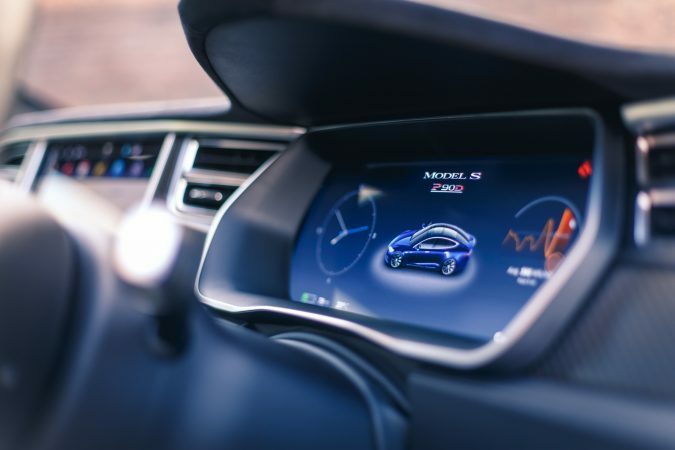 The car also comes with its own LTE connection that allows the car to communicate with a beautifully designed smartphone app. 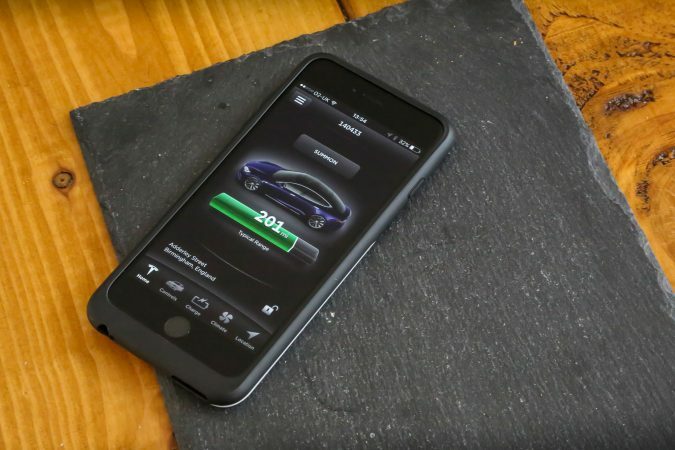 The app gives you lots of functionality relating to charge time, available miles, heating controls, locking and unlocking the car and even locating the car if you lose it. But the feature that blew my mind is the Summon feature. This is the ability to move your Tesla short distances forward and backwards from the application. The primary use case of this is to drive your Tesla into a tight parking space or garage without you being inside the car. How insane is that?! This is a perfect example of why I love cars and technology working together. Testing this capability out through the app worked really well. The car needs to sense the key in the vicinity of the car for safety reasons, and the car is able to negotiate obstacles and move very slowly and very carefully until it meets an obstacle such as the end of your garage. I am so excited to see where this technology goes. Lastly, lets talk practicalities. As you can see I’ve been a bit distracted by the special elements of this car, but let’s remember this is still a large saloon car and is rammed with practicalities. The seating position and available space for the driver and passengers is comfortable and feels very roomy. The boot space is just enormous and there is even a very large storage space under the floor which I found was idela for the charging cable if you are planning on carrying it with you. But let’s not forget that because the bonnet is not taken up by an engine there is also a very significant space that allows you to store even more things in front of the car. It is worth noting that the bonnet can be released very easily from the touch of the key and does not have a manual safety latch like a typical bonnet. I love what Tesla have done with the interior of the Model S from day one. They have gone for the simplified look and removed as many physical buttons as possible. 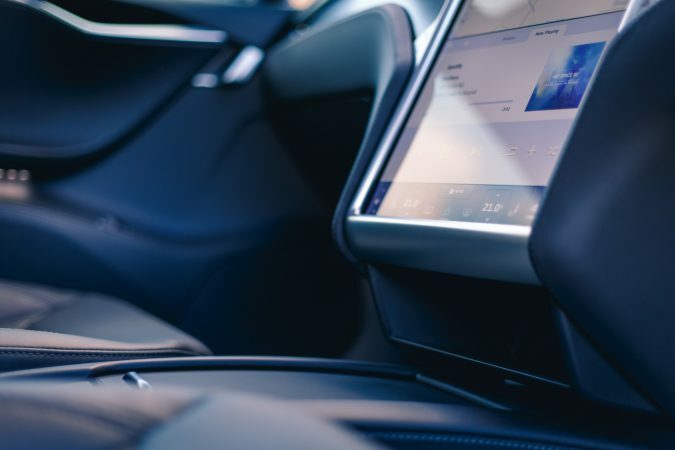 The first thing you will notice is the Tesla Model S has one enormous 17-inch monitor fitted in portrait in the centre console. And a fully digital display in front of the driver with driving instruments displayed. The 17-inch touchscreen feels very responsive and the UI is beautifully designed and executed. The benefits of having this incredible screen is that the software can be continually updated giving you a feature set that ever increases and improves even as the car gets older, now that is something that massively interests me. It hasn’t been possible before for any car to get more functionality as it gets older. The passenger environment is hugely impressive by any standards. I love the materials used in the car, there’s a mix of quality leather, Alcantara, and some beautiful uses of aluminium. The latest version of the Model S now includes a nice storage space where you would expect to find the gearstick and the handbrake. This makes great use of the extra space allowing you to store lots of objects inside the covered area and still have a couple of cup holders free. Perfect! 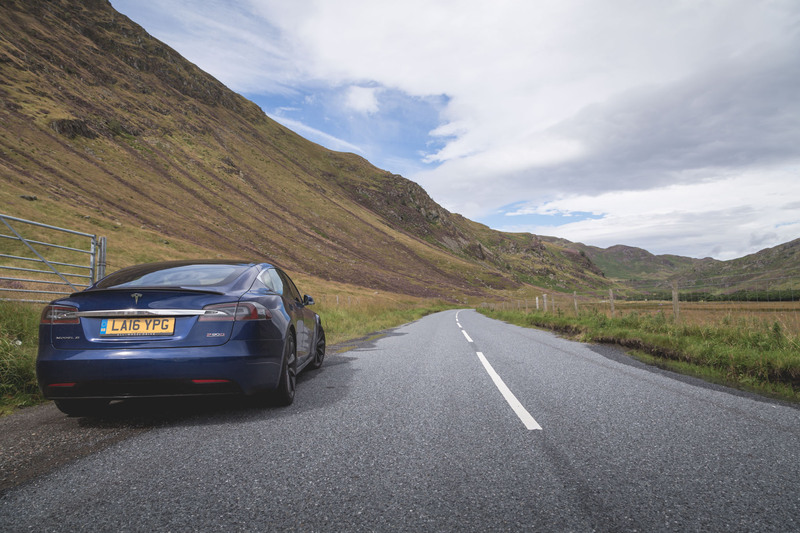 Tesla have had a couple of problems to combat that they had created for themselves. As the car itself doesn’t make any engine noise it meant that their customers were extremely aware of any exterior noise. 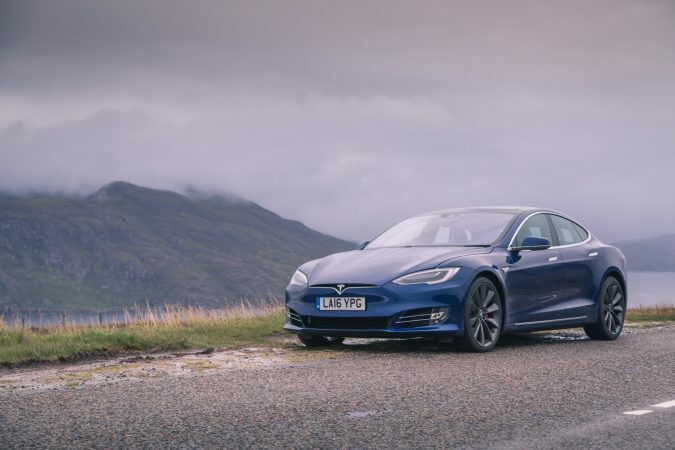 So Tesla did what they could to minimise the cabin noise in the car, and what an impressive job they have done. 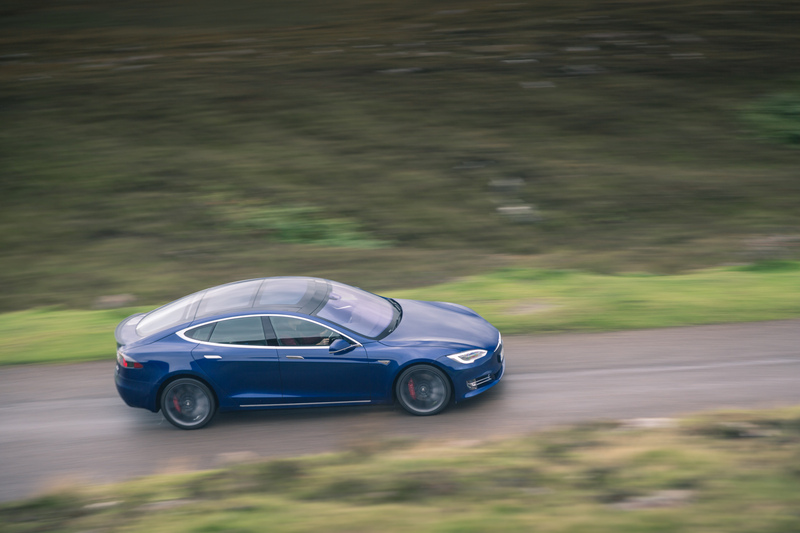 With the windows up, the Model S is up there with the best of them. You can barely hear the tyres, the wind noise is minimal and although you do hear a bit of motor noise, I actually quite like that. 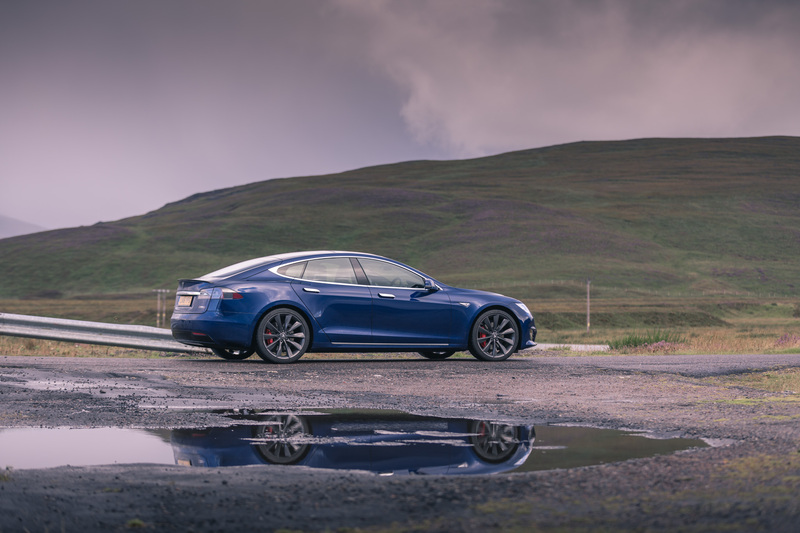 The experience the Tesla Model S P90D provides is 100% unique and years in advance of the competition in many areas. The acceleration in this car is incredible. It blows my mind to think how it would even be possible to make a car that goes 0 to 60 mph faster than this one – I don’t even know if I can think that fast. 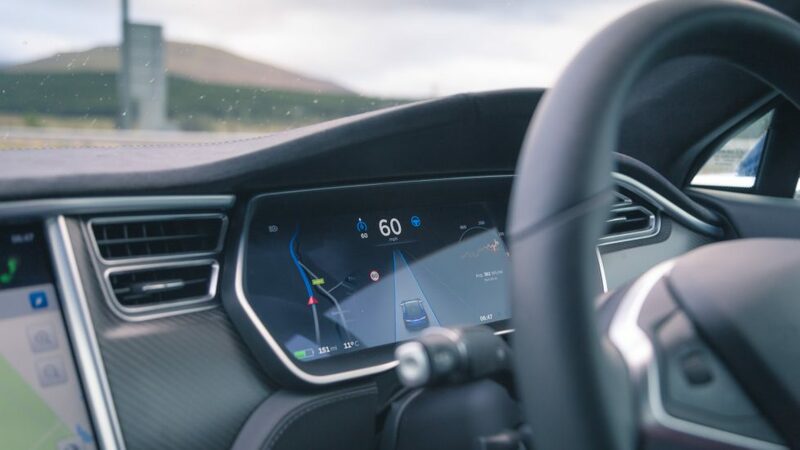 The autopilot technology is an incredibly complex and a well executed bit of assistive technology which has opened my mind to the future of motoring for other cars. What a cocktail of emotions this car provides. 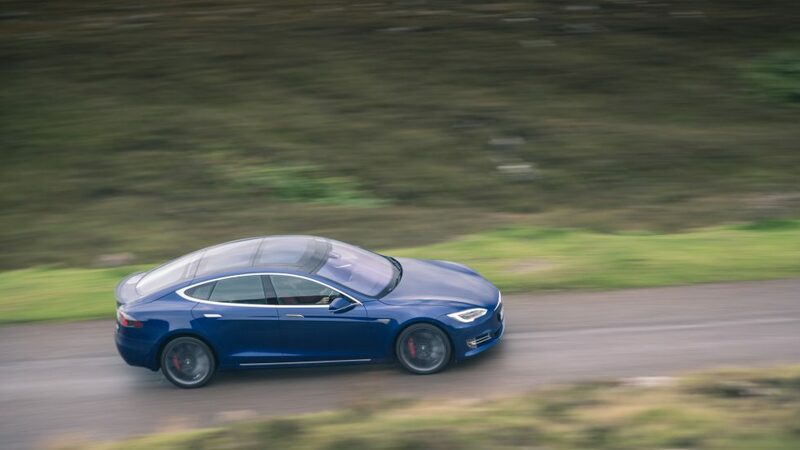 The Tesla Model S P90D is capable of doing realistic mileage of over 250 miles on a single charge, off the line it will show most Ferrari owners a pair of Tesla rear lights and leave them in a trail of dust, whilst on the inside you have an environment that is super refined and at the cutting edge of technology. I don’t have any idea how Tesla have managed to mix all of these elements together and make them work. But they do all work so well together and I am absolutely in love with this car.